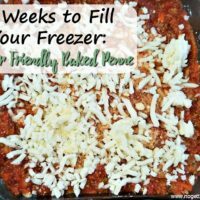 This night’s dinner was another super easy meal, because I had cooked the ground beef on Sunday! I just had to add all the other ingredients and simmer it for awhile. 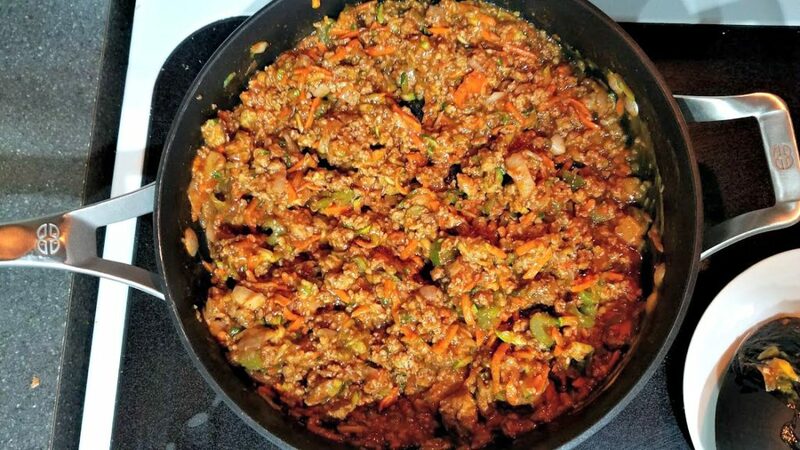 I started these Freezer Sloppy Joes by cooking the ground turkey mixture in a large pan along with everything else. The best part was I had all the ingredients on hand already! Buying a can of Manwich is convenient, but I love the taste of homemade. We ate half for dinner, and put the other half in the freezer. 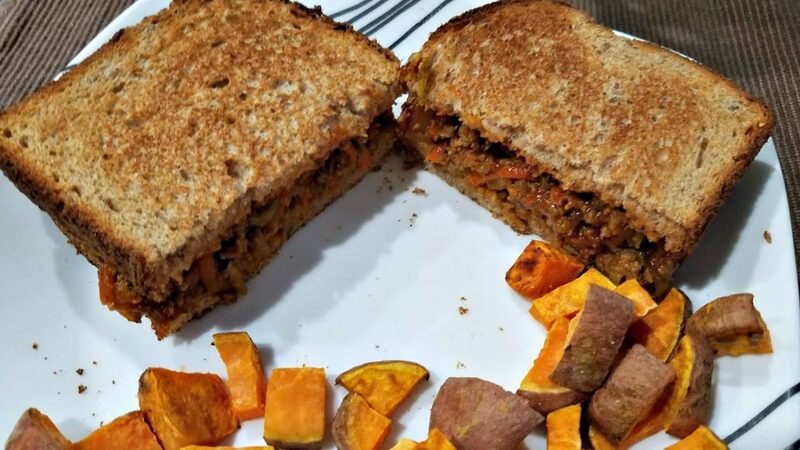 Why yes, we’re using toasted bread as buns for our Sloppy Joes. Everyone’s done that at some point, right? We saved money AND we reduced waste by using what we had! 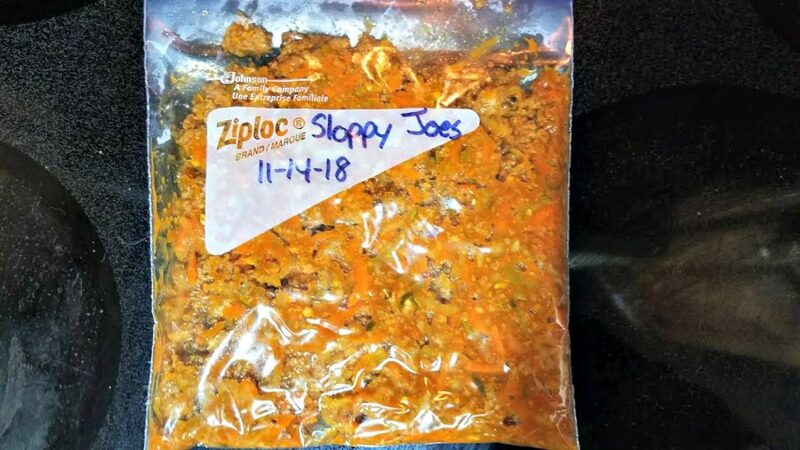 The rest of the Sloppy Joe mix can be put into a labeled quart-sized freezer bag. 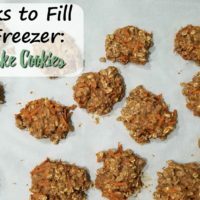 Lay it on a cookie sheet so it freezes flat, and place it in the freezer. This recipe calls for 2 pounds of ground beef or turkey. But if you remember from Sunday, I halved the amount of meat for each recipe and cooked it all with shredded veggies instead. I like the added nutrients, but just use 2 pounds if you’d rather not do it. 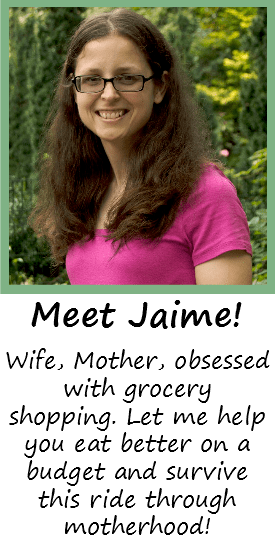 Looking for an easy weeknight dinner? 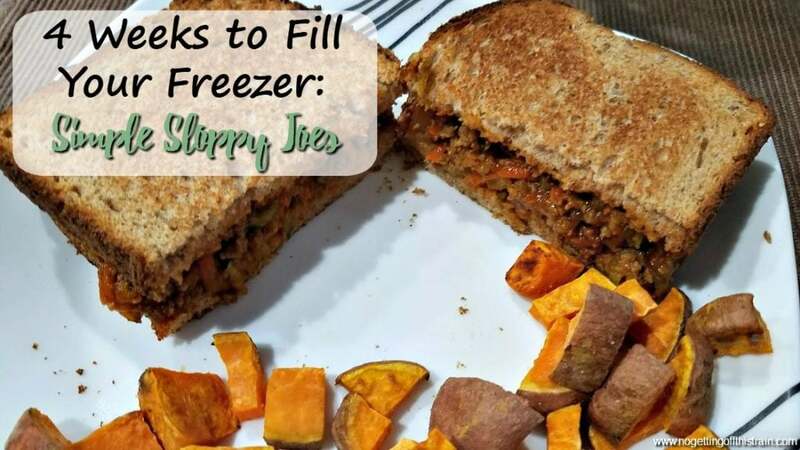 These Freezer Sloppy Joes are a fast, freezer-friendly sandwich option for busy nights! Cook ground beef in a large pan with onion and celery. Add the rest of the ingredients and combine. Let simmer for 20 minutes. 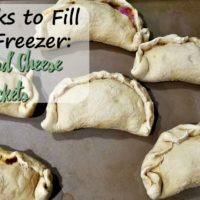 To freeze, divide the mixture into two labeled quart-sized freezer bags. 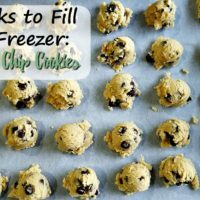 Lay flat on a cookie sheet and place in the freezer. To reheat, thaw overnight. Simmer in a pan until hot.